Fishers Indiana new construction homes on the town’s west side are hard to come by, which is one reason for the success of the Fishers Anderson Hall subdivision. Construction began on this Fishers neighborhood in the mid 2000s. Anderson Hall comprises two sections: The Orchard at Anderson Hall and The Manor at Anderson Hall. 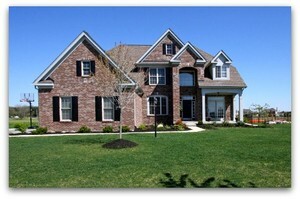 Orchard homes are priced between $270,000 to $400,000, while homes in The Manor are priced from $350,000 to $500,000. High school students who live in this Fishers neighborhood are fortunate to attend highly rated Fishers High School (home of the 2010 Indiana 5A football champions!) which is conveniently located less than a mile away. Anderson Hall also has easy access to I-69, Hamilton Town Center, and the new Hamilton Healthcare Campus.